Holistic health consultations, wellness coaching, and essential oil classes are available through my wife and associate, Denise Wickell, RA. Authentic Aromatherapy is unique in its ability to touch us on every level -- physically, mentally, emotionally, and spiritually. This modality uses genuine essential oils to support every organ and all systems of the body, allowing the body to balance, restore, and heal itself. With clinical university training, Denise is an expert in this field, and is passionate about empowering others with natural solutions for highest health and happiness. Schedule a personal consultation by calling 561-308-5217 or email Denise@PrimaBody.com. Are you looking for therapeutic-grade essential oils, diffusers, and related wellness products? Visit www.YoungLiving.org/PrimaBody to become a member of this elite company and purchase essential oils at wholesale prices, the same prices that Denise and I pay. A good starter kit to consider is the Premium Starter Kit. Use sponsor and enroller number 259111 for Prima Body, and you will receive free guidance and mentoring from Denise to obtain the most benefit from your products. See more at her website www.PrimaBody.com. Denise also offers massage and Raindrop Therapy in northern Palm Beach County. MA20397. Aromatherapy classes are available to the general public as well as to massage therapists for CEUs. Doctors, nurses, acupuncturists, physical therapists, chiropractors, yoga instructors, and consumers, all are welcome to attend. See a full list of classes at www.PrimaBody.com. 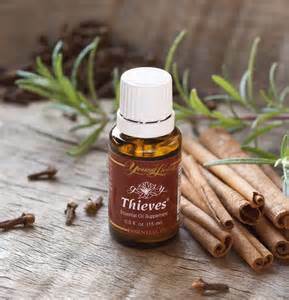 A few drops of this essential oil blend may be rubbed on the soles of the feet to balance the body and support the immune system during cold and flu season. Call Denise for more info or to order 561-308-5217. Did you know that 2 drops of lavender in warm water can be gargled to soothe a scratchy throat? 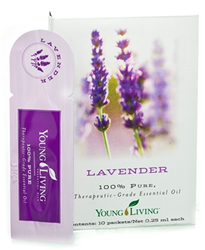 Lavender may also be used to enhance the skin's healing function in cases of burns or wounds. Use only genuine Young Living essential oils, the most authentic product you can buy.